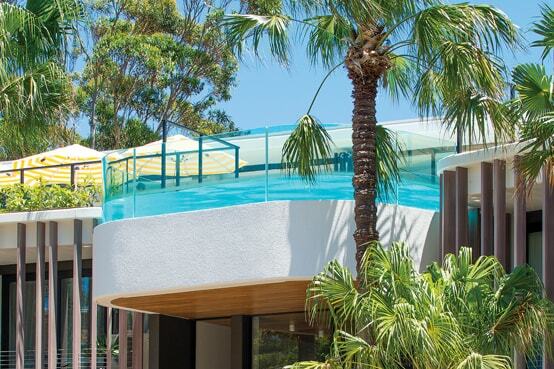 This unique pool concept was created by Tony Freeman of Molnar Freeman Architects as a key feature in the expansion of the Bannisters brand on the south coast of NSW. 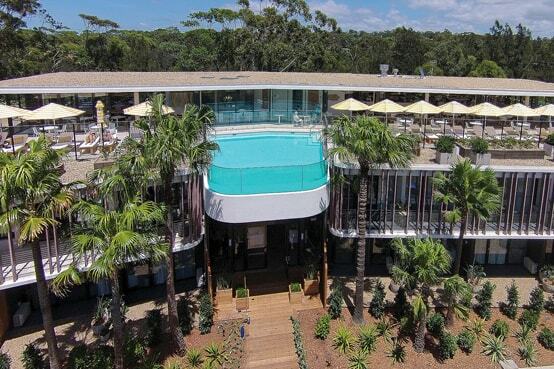 The cantilever pool end that floats above the entry to Bannisters Pavilion in Mollymook provides a memorable experience for hotel guests. 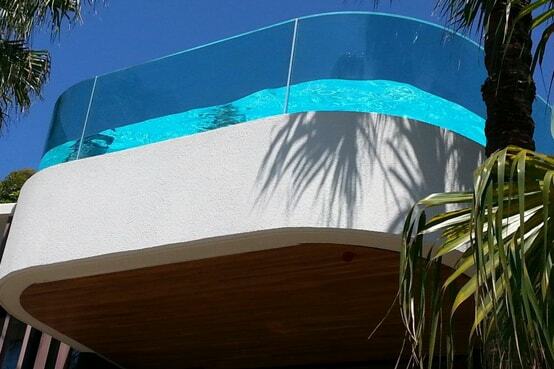 Frameless glass panels reveal the movement and sparkle of the water which catches the eye. The surprise appearance of swimmers adds to the drama. 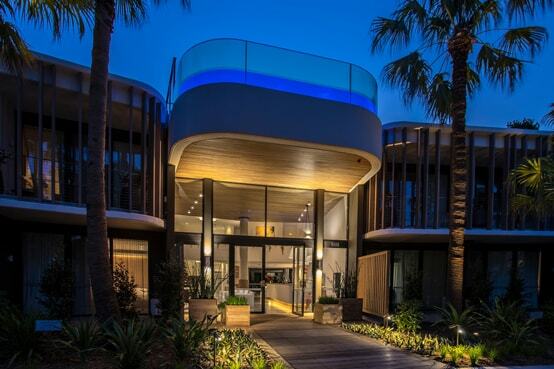 Bent and Curved Glass Pty Ltd (BCG) worked closely with the architects, the engineer – Wirra Wonga Consulting and the installation contractor, Ozea Group, to determine the feasibility of the desired glazing solution. BCG accepted the technical challenge of bending 4 layers of 12mm toughened glass as a matched set to the dimensional tolerances required for successful lamination. The largest panel weighing in at 519kg. Projects of this type present the opportunity to push the limits and develop new techniques. BCG has a history of taking on these challenges and learning in the process.